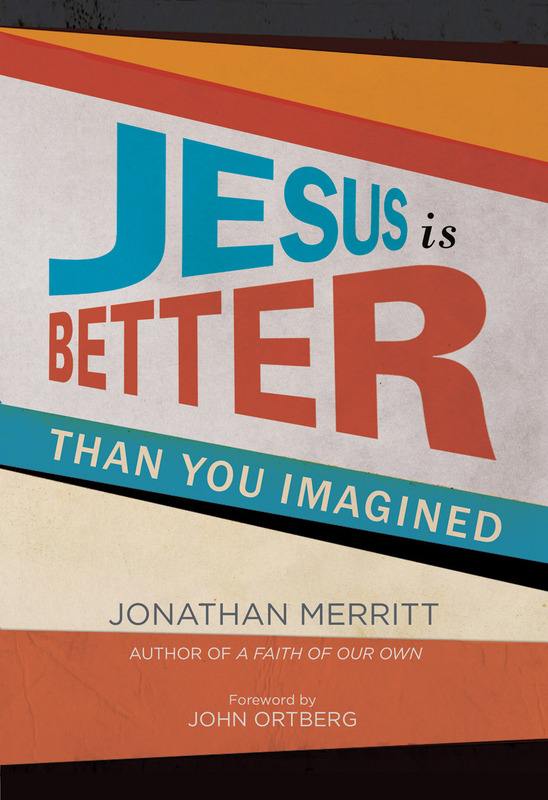 Just hot off the press, the latest book by Religion News Service senior writer, Jonathon Merritt, entitled Jesus is Better than You Imagined is worth a read because it is a profound take on one young person’s journey through the trials and triumphs that make for a vibrant Christian life. Unlike what the title implies, the book is not so much about Jesus as it is about Merritt’s personal, spiritual experiences as it pertains to his relationship with Jesus. All of the chapters contain the subtitle of “encountering Jesus” in some aspect of Merritt’s spiritual life. He encounters Jesus, for instance, in the solitude of a monastery. He encounters Jesus in creation. He encounters Jesus in the midst of the grace and forgiveness after confessing to having an illicit sexual encounter with another author. So Merritt grasps for what faith means to him after facing the hardships of breaking away from the fishbowl that was his church life, sexual identity crises, and depression. Jesus, he claims, is to be found in Haiti, the streets of New York, and bars. Merritt’s book adds to the tapestry of a booming Christian memoir publishing industry in an information age that prizes the self and the discovery of how that self relates to a God whom one no longer finds in the womb of the church. It makes for profound, honest, and moving reading although it threatens to let the self–the “I”–distract readers from the very Jesus we are supposed to imagine in a new way. Another author, the late Henri Nouwen, may have advice here. Often confronted with the wrestling match between being a popular author and simply telling others where God is at work in the world, Nouwen surmised that all of us must be aware of how our own stories have the potential of getting in the way of God’s story. Our very personhood threatens to hinder or, at worst, tarnish, our experience of Jesus because Jesus ends up looking more like we do rather than the first-century Jew who called all people to God’s reign on earth, a reign that is both beyond our experiences of it as well as personally intimate in our relationship to it. Merritt’s personal story is no different. If a memoir is to be anything, however, it is to liberate us from the preconceived notion that we have everything figured out, that we have all of the answers. Merritt is on the right track most of the time, and I consider him to be one of the leading spokespersons for my generation. But he still walks that fine line between being a Southern Baptist preacher’s son who speaks the familiar language of evangelical conservatism, while searching for a pseudo-progressive theology that seeks to let the marginalized “Other” define God in new ways. Merritt’s balancing act places him squarely in that classic Christian “identity crisis”, what St. John the Cross called the “dark night of the soul.” We may not be in the same place as Merritt, but we will go along with him for the ride. Original or not, Jesus is Better than You Imagined inspires growth by giving us the opportunity to live vicariously through the trials and triumphs of the author. And, in some strange way, we read because we hope to find that transformative, life-giving Word that all of us long for, that all of us hope will help us experience–and imagine–God anew.